Monarch Air Group provides private air charter in Sun Valley, ID. Our clients benefit from top-notch service, unrelenting dedication to safety, wide selection of aircraft, and years of experience in chartering private jets. To obtain a free quote, please use our online quoting tool provided below, or call toll free 1-877-281-3051. Monarch Air Group offers a great variety of private jet charter options to and from Sun Valley, Idaho, United States. Located within Blaine County, Sun Valley is a popular resort city in central Idaho. 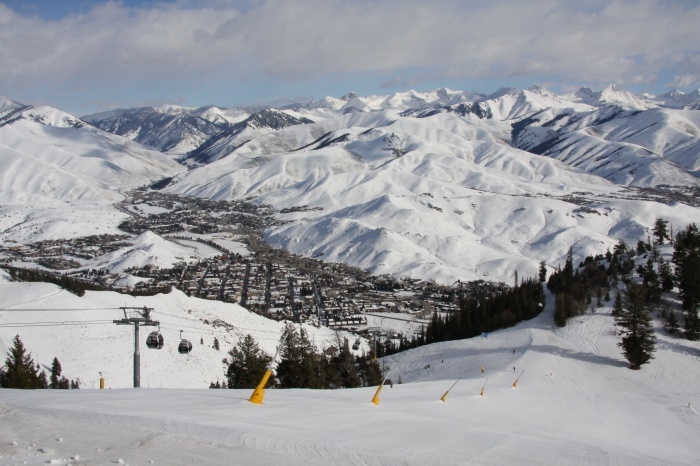 Known as the alpine ski area consisting of Bald Mountain, Sun Valley is especially popular among skiers. Sun Valley boasts a lively art community that offers a wealth of opportunities through more than 30 presenting organizations. The most visited tourist attractions in Sun Valley are the Bald Mountain, Sun Valley Resort, Dollar Mountain, Sun Valley Opera House, Sawtooth Botanical Garden and some others. The Magic Valley Regional Airport is the closest major airport to Sun Valley, which is located 89 miles from the city center and serves domestic flights.